With the launch of Ryzen Mobile, a processor meant to compete with Intel’s 7th and 8th generation Core processors in ultrathin and 2-in-1 notebooks, AMD is completing what can only be called a revolutionary year for the company. 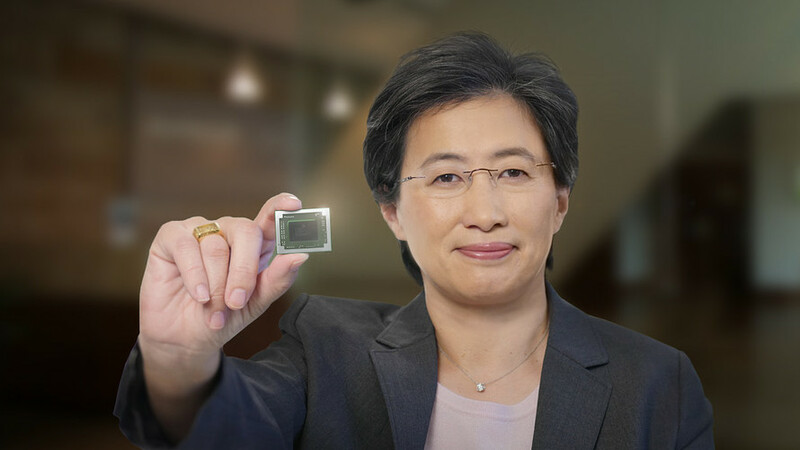 “It truly is the culmination of a spectacular year of product launches,” claims Lisa Su, AMD CEO. Every quarter of 2017 has brought with it multiple significant product launches that have shifted and molded the company’s portfolio of products and IP into something very different than the AMD of recent history. For its part, Ryzen Mobile may be one of the most important of those launches. I have previously written about how this new architecture could put Intel and NVIDIA in hot water with performance improvements on both the processor and graphics portions of the chip. Because the ultrathin and 2-in-1 notebook space is the largest of the PC business, and that AMD has largely been absent from the premium segments of this market for years, the underdog has a lot potential ground to gain back from Intel. Ryzen Mobile combines the best design points of Zen, the company’s latest processor architecture, and of Vega, its most recent and modern graphics architecture, into a single product. No other company has the ability to build premium processing cores of both categories and merge them into a single chip and AMD has been planning to utilize this advantage for more than a decade. OEM system partners HP, Lenovo, and Acer have announced products that will ship this quarter in time for holiday buying. Getting retail space and commitments from top notebooks vendors has been a key priority for the company in the build up to this release. “I have spent time with many of the top retailers detailing our commitment to the PC space,” Su says when asked how AMD can push its way into a segment that Intel has controlled for so long, “scale is important, choice is important.” The CEO is confident that not only will the systems launching this year have an impact, but many more design wins will be found on shelves using Ryzen Mobile at the first of the year. AMD says that commercial systems using Ryzen Mobile will be available in the first half of next year as well, addressing the enterprise and SMB markets. With over 10 major product launches this year, including Ryzen, Threadripper, Vega, EPYC, the upcoming Xbox One X, and today’s Ryzen Mobile, AMD has completely restructured its product portfolio. Su claims that this shift is “perhaps one of the most ambitious product ramps that has been done, certainly in AMD’s lifetime.” It’s hard to dispute that claim. And for the most part, this has gone exactly as AMD had planned. Though Su admits that this business is “never without its twists or turns,” the steps from desktop consumer processors, to server processors, high-end desktop, and finally mobile have resulted in competitive products that are gaining momentum across the board. This progression was based on the optimization timelines that a new CPU architecture would require, giving the most time for Ryzen Mobile as it faced the toughest technological hurdles. Getting a complex processor and graphics architecture to operate at high performance but within the thermal limits of a mobile form factor is challenging, and placing the mobile designs at the tail of the product pipeline gives AMD the best chance of success. Now that we are a few quarters into these new architectures, AMD seems upbeat about the response that consumer products like Ryzen and Threadripper have received. “I’m very happy with how Ryzen has ramped, especially in the enthusiast market, where consumers are very savvy about processors,” says Su. Ryzen has seen incredibly high market share in the do-it-yourself and consumer markets, nearing 50% at key retailers like Amazon and Newegg. The rollout to OEMs and system builders takes more time as the platforms go through scheduled platform validations. “We put ourselves back in the high end conversation, and I’m very proud of that,” states Su. Other areas of AMD’s portfolio have transformed as well. Vega is the company’s latest graphics architecture and it offers competing performance in high priced markets for the first time in a couple years. Adoption and sales have exceeded its previous high-end architecture, Fiji, at the same point post-release. Though the competition from NVIDIA on the consumer and enterprise front remains strong, having an option in the game at all gives AMD an uplift. The Instinct brand that targets machine learning, AI, and enterprise compute servers is ramping quickly, says Su, and that it is “all upside” as this is a “market we haven’t been overly present in for many many years.” AMD stated during earnings that the MI25 product was already shipping to multiple cloud datacenter customers for AI workloads. The EPYC server processor family that launched in June is seeing accelerated engagement from customers, claims the AMD CEO. There is a long tail to enterprise platform adoption and AMD has previously stated that it expects a 4-6 quarter ramp for EPYC. But with 3 of the “Super 7” enterprise data center customers already publicly involved with EPYC systems and evaluation, this is another area that AMD can claim success in with almost any share gain away from Intel. Despite extremely positive numbers from AMD’s most recent reporting, the financial market has reacted negatively, dropping the stock price by 15% or more in the last day or so. CEO Lisa Su contends that she is “very proud of what we have accomplished with the financials of this company” and that projected 20% YoY growth in its full year guidance, adding another $1B to revenue, proves that its long term strategy is working. As Su passes her 3-year anniversary as CEO, the turnaround that she has overseen is drastic and covers nearly every aspect of the product families and IP portfolio that AMD holds.